Rich is our newest General Partner and focuses on real estate tech, AI/ML and robotics. More about Rich and his companies here. Q: You were a long time CEO (at LoopNet) now turned investor. What do you miss most and least about being an operator? Rich: There's nothing like the pure joy, adrenaline, awesome challenges and rewards of being at a startup where, as a team, you're building a great company and living through the roller coaster ride. It's an unbelievable experience and there's nothing like it. As a venture investor you get some of those experiences, but much more indirectly. But on the flipside, the big advantage of being an investor is you get to do it with a number of different companies. I feel like I get to live in a culture of ideas where in any given week, I might meet twenty different entrepreneurs doing anything from an online marketplace business to really cool real estate tech to AI and machine learning, a new satellite or quantum computing. The intellectual stimulation of looking at different products, markets and ideas and meeting all these interesting entrepreneurs is just super fun. I really enjoy that part of the job. Q: You built a pretty special organizational culture at LoopNet. How did you do it and what lessons do you share with your early stage startups on culture? Rich: Well, I'm flattered that you've heard that. I think it's absolutely true, we did have a phenomenal culture at LoopNet. To me, there are a few different threads that have to come together to make a culture work. First and most obviously, hire good people. You want to be really thoughtful and careful about the people you bring in. That's not just about skills — it's also about who they are as people and how they interact with others — do they treat others with respect and are they open and communicative? Are they willing to challenge the status quo and put forth new ideas? At LoopNet, we talked a lot about the type of open culture we wanted to have, with a flat organization. And the key thing about culture building is — you have to be explicit. It doesn't just happen. You have to proactively invest in great culture the same way you invest in building a great product. Then you have to find ways to follow through. Management that just says “our culture is X” and then doesn't exhibit the behaviors that align with that are doomed. You have to show it. For example, at LoopNet, we wanted to have an open culture so the executive team sat out on the floor, not in offices. I put my cube adjacent to our customer service department because I was always curious to hear what our users were saying. Little things like that signal the cultural style are important. Q: Did your leadership and management style or approach change from when LoopNet was private to when it was public? Rich: Yes it did, in good ways and bad. As a relatively small private company we valued transparency and openness about what was going on at the company very, very highly. It was a byproduct of living through some very tough times post-2001. To keep the company alive and keep our employees, I had felt it was necessary to be very transparent about the state of the company — showing financials, talking about the challenges and being incredibly open with people. As you fast forward and go public, you basically can't do that anymore. It becomes incredibly challenging, particularly with certain financial numbers, if you disclose information internally, because you can actually put your employees at risk with material, non-public information that can move the stock around. So, we had to lock down that information flow, which I felt was unfortunate. When we were private and VC-backed, if I wanted to make a major move or make an investment or change our business plan or take the company in a different direction, I essentially would talk to the board and so it's a very streamlined, efficient conversation. As a public company, that dynamic really changes. Your major shareholders are outside the company, you can't have that same free flowing dialogue with them because if you share information with them, you have to share with everybody. I also found being public incredibly distracting. We got sucked a little bit into the trap of managing to the quarterly earnings call and giving too much focus to short term results versus the long term business. We figured it out and recovered from it, but it caused some challenges for a time and if I had to do it over again, you know, that's something I would approach differently. There are insidious effects of an IPO. Post-IPO I would walk around and I'd say 50% of employees' screens would have our stock ticker up. I just think that's incredibly distracting. As an employee it's great because you suddenly get liquidity for all these options you've worked years to earn. But the worst way to achieve future value in your business is to focus on the current stock price. You need to stay focused on the product and the customer. Q: How did you initially get interested in real estate tech? Rich: By accident, actually. I had been at a risk modelling company, which was acquired in 1997 and a couple of years later, I was looking for my next stop. I was thinking about doing my own startup and one of my favorite theses at the time was online, B2B marketplaces and the potential to create value by moving information-poor and information-asymmetric, high-friction transactions online. So that's what I was researching. And then through a friend at Trinity Ventures I met Dennis DeAndre, the founder of LoopNet, which was one of Trinity's portfolio companies. Dennis ended up hiring me to run product and engineering and then a couple of years later, I was asked to become the CEO. So it wasn't real estate specifically that got me excited at first — it was the concept of the B2B marketplace. But as I got to know Dennis and dug into LoopNet's strategy, I began to understand how huge the real estate market is in the U.S. and how it had — and still has — the defining characteristics from my thesis. Q: Where else are you focused right now beyond real estate tech? Rich: I'm doing a lot in the broad AI / machine learning world. I am a complete subscriber to Andrew Ng's philosophy that “AI is the new electricity.” It will be a foundational technology that, if you fast forward another five or ten years it will be impossible to imagine having a piece of software and not reviewing it with some kind of intelligence. We're seeing interesting AI-enabled applications, everything from consumer facing to enterprise software to robotics to B2B information providers that are AI enabled. It's really starting to show up in just about everything that we're doing and I think that trend is only going to continue. I'm looking a little bit at what I call the infrastructure layer, but mostly I'm focused on the application layers — using AI to solve real problems that creates value to the customers across a bunch of different domains. Q: What is the biggest mistake investors are making when it comes to AI? Rich: Any time a major new technology comes along, the same phenomenon occurs. First, people underestimate the difficulty of getting past the theoretical, to a useful solution that actually works. Second, they actually underestimate the longer term impacts. Self-driving cars is a great example. When it comes to AI, we've been in that cycle, where people have unrealistic expectations about the timeline in which AI will have a noticeable impact on our world. But I'm incredibly bullish about its potential if you look a bit further down the road. I'd say another issue is the proliferation of startups claiming AI as a distinguishing characteristic of the business when it's simply not true. The onus is on all of us on the investment side to really dig in on the technical details every time a startup throws the term AI around. Q: You were a long time CEO and you were an active angel investor and advisor. Why did you decide to switch gears and join Canaan? 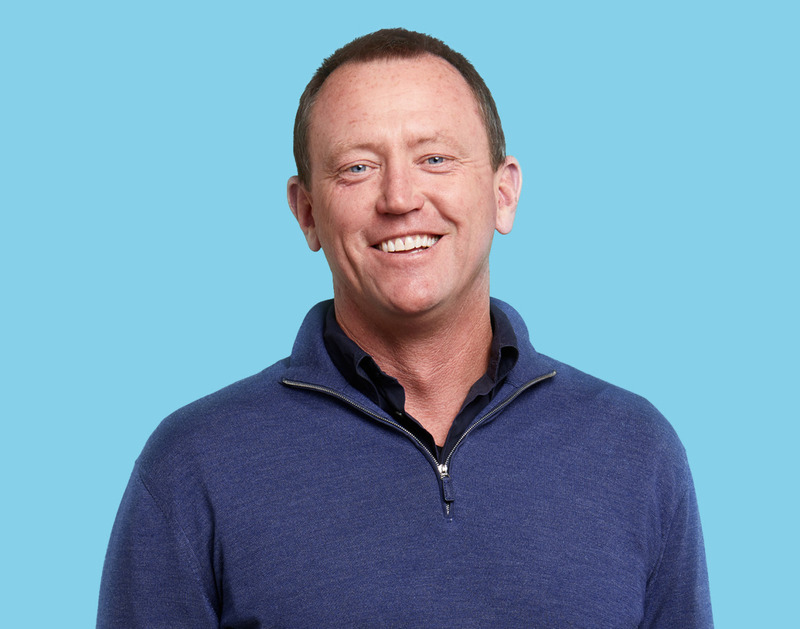 Rich: I started angel investing after LoopNet was acquired to understand whether I liked the investor role or whether I would want to go back into an operating role. And I found I really enjoyed working with companies as an investor and advisor. Back to what I said earlier, I was spending time with a lot of phenomenal entrepreneurs and that's just fun. I decided pretty quickly that I loved the work and then started thinking about the right platform to do it, because the problem with being an angel investor is that I really enjoy being part of a team and building something bigger than just what I'm working on individually. But as an angel investor, you're not only flying solo, but when you really find an interesting company and want to play an active role throughout the life cycle of the company, it requires a certain amount of capital and that's limiting for angel investors. So I decided to become a full time professional investor. Frankly, it gives you better deal flow and lets you be part of the team. I had known some of the Canaan investors for many, many years and so I knew the culture, the team and the style of the firm and that was hugely important to me. They were supportive of some of the areas that I was interested in spending my time like the AI / machine learning and real estate tech. Canaan was also a great platform frankly with a 30 year track record and outstanding results from a financial returns point of view. For me, though, ultimately the decision was in large part about people. I was really hyper focused on who the people were and what they would be like to work and partner with. Q: Do you have any advice for young people who aspire to a career in venture? Rich: The first piece of advice I give everybody who wants to work around tech startups is learn how to code. I think having some basic fundamental understanding of what it takes to build software systems is really helpful, whether you work in a company's tech org or not. More broadly, I am in the camp that believes spending time working at a startup is a big value add to being an investor. My twenty five years in startup companies undoubtedly makes me a better venture investor. I have a much deeper appreciation for what it takes to start and build a company, culture and product and take it to market scale. Q: What companies are you loving or hating right now? Rich: My pet peeve at the moment is what I'll call “fake AI” companies — startups that claim that they are an AI/ML company who literally have nothing to back it up; no tech, no team, nothing real. I don't mind aspirational goals, those are intrinsic to doing a startup, but total fiction is another thing. There are too many of those right now. On the positive side, as both a consumer and an operator, I particularly admire companies like Amazon that remain innovative and risk-taking even at massive scale — that is really hard to do. At the earlier stage, there are so many interesting and exciting startups we're seeing that it's hard to choose. Again on the AI/ML front, I'm a big fan of companies that are using those technologies combined with large data sets to facilitate actionable decisions and data systems across many different domains, from agriculture (like Blue River Technology) to insurance data (like Cape Analytics) to visual product search (like GrokStyle) to online security (like PerimeterX). I've followed and worked with AI tech for 30 years, and seeing it reach a level where it is such a powerful technology for problem-solving, while also creating value for startups and their customers is incredibly exciting.